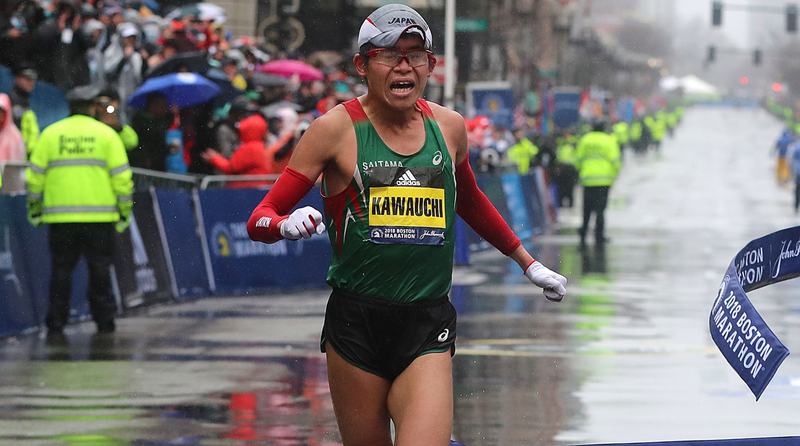 The World Marathon Majors series continues on Sunday with the 2018 Chicago Marathon expected to be contested under humid and potentially rainy conditions. Galen Rupp, a three-time U.S. Olympian and two-time medalist, returns to defend his title after last year’s win in 2:09:20. A new women’s champion will be crowned as last year’s winner, Tirunesh Dibaba of Ethiopia, opted to race the Berlin Marathon last month. The women’s field is headlined by three women who have run under 2:20. This year’s race could suit those runners with faster personal bests as pacemakers have been re-added after being eliminated from 2015 to 2017. The race will start at 8:30 a.m. ET and can be streamed on NBC Sports Gold. Last year’s race got off to a slow start for the first 15 miles and Rupp waited patiently until the 22nd mile to make his move. He pulled away with his last 5.2 miles in 24:02 (As noted by LetsRun.com last year, that’s a 2:00:45 pace to finish the race) He became the first American to win the race since Khalid Khannouchi in 2002. No American man has ever won back-to-back Chicago Marathon titles. The late Sammy Wanjiru of Kenya was the last person to go back-to-back with his 2009 and 2010 titles. Rupp is presumably in better shape than last year and recently told NBC Sports that he may be targeting Khannouchi’s 2:05:38 American record. Rupp’s personal best is 2:06:07 from the Prague Marathon in May. He recycled his fitness after dropping out of April’s Boston Marathon, which was contested in maelstrom-like conditions. Rupp could be in line to run a fast time but whether that comes along with a victory will be hard. Five other men have personal bests faster than him and he’ll face some familiar foes. The four-time Olympic gold medalist heads into his third career marathon after a 2:06:21 personal best and third place finish in April’s London Marathon. He went through the first half of that race in an aggressive 61:00 split and then hung on for the second half under record-setting heat. Rupp and Farah trained together with the Nike Oregon Project from 2011 to 2017. Both athletes were coached by Alberto Salazar, who has been under investigation by the U.S. Anti-Doping Agency since 2015 for allegedly abusing prescription medication and infusions to push the limits on anti-doping rules for his athletes to gain a performance-enhancing edge. Neither Rupp nor Farah has ever tested positive for any performance enhancing drugs. Farah and Rupp are forever tied in track and field history after going 1-2 in the 10,000 meters at the 2012 Olympics. They have raced each other 22 times and Farah has come out victorious in all but one race. (Rupp beat Farah in a one-mile indoor race in Boston in Feb. 2012.) This will mark their first meeting at the marathon distance and since the 10,000 meter Olympic final in Rio De Janeiro. Farah won gold and Rupp finished fifth but went on to win a bronze medal in the marathon just days later. One of the biggest shocks of the year was the Japanese government employee, who works 40 hours per week at a high school, winning Boston under the worst weather conditions. No one could have predicted his victory and he may have a slim chance of taking Chicago unless Mother Nature changes the forecast. Kirui beat Rupp in the 2017 Boston Marathon and looked to repeat there this year before crashing in the final five miles due to the weather. He ended up finishing second to Kawauchi. He’s proven that he can farewell in championship-style races (sans pacers) with his Boston win and world championship gold medal last year in London. His personal best is 2:06:27 from 2016 on a fast course in Amsterdam so while tactics are his strength, he can hang with rabbits. Just have to note that the 26-year-old has a 2:04:00 personal best from a course-record setting run in January’s Dubai Marathon. Kirui won this race in 2016 and is coming off a fourth place finish at the London Marathon. He definitely has to be considered for the win since he trains with world record holder Eliud Kipchoge. Kirui was last year’s Chicago runner-up and the last man hanging onto Rupp before 22 miles. Kiplagat is no stranger to the Chicago Marathon after winning the 2015 and 2016 races. She attempted to defend her title last year but dropped out around the 25K mark due to injury. She has not raced in 2018 so there may be questions regarding her fitness heading into the race. Her personal best of 2:19.44 is now seven years old from the 2011 Berlin Marathon. She has the fastest personal best on paper from her victory in January’s Dubai Marathon. This will be the first major marathon of her career. Kosgei looks ready for a breakthrough on the major scene. She was second in Chicago last year in 2:20:22 and then lowered her personal best by nine seconds with a runner-up finish in London. Kosgei has had unfortunate luck of drawing races with some of the fastest women in history. She’s got the fourth-fastest personal best of this bunch but would not be surprising to win. The two top Americans with a chance of winning the race were Jordan Hasay and Amy Cragg. Hasay, the second-fastest American woman of all-time with a 2:20:57 personal best, pulled out of the race with a heel injury. 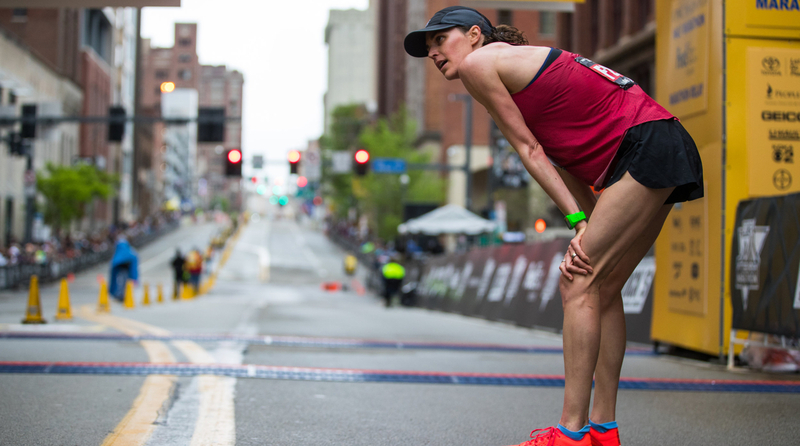 Cragg, the 2017 world championship marathon bronze medalist, announced that she felt unprepared due to a setback in training and would not be ready in time for Chicago. All eyes are now on Gwen Jorgensen, the 2016 Olympic triathlon champion, who will be racing her second career marathon but the first one since transitioning full-time to professional running. Jorgensen has been very vocal about her goal of winning gold in the marathon at the 2020 Olympics in Tokyo. She has a personal best of 2:41:01 from the 2016 New York City Marathon, which she ran just off triathlon training. This will also be her first marathon since giving birth to her first child. Sports Illustrated spoke extensively with Jorgensen in April about her comeback. The other top U.S. contender is Laura Thweatt, who holds a 2:25:38 personal best from the 2017 London Marathon and is the ninth-fastest American woman of all-time.